Can anyone join Baldivis Pony Club? Yes, however you must provide your own horse or pony to ride. Our membership spaces are limited, so please use the contact form to express your interest to join our club. How old do I have to be to join pony club? What if I am too old for pony club? 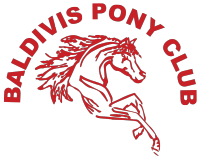 We have the Baldivis Adult Riders club which share the grounds, so if your too old for pony club please get in touch with Adult riders and become a member there. How many rallies do you have? Typically we will hold 10 rallies during the year. These are normally a chosen Sunday of each month.